Exhibition: Pat Brassington: the body electric at the Art Gallery of New South Wales till 11 Feb 2018. A few images and comments on the recent changes to the collection exhibitions at the National Gallery of Canberra – more reasons to visit during summer 2017/2018. If you were looking for evidence that interest in photography is alive and well in Australia, then look no further than a couple of recent auctions. A highly recommended visual arts experience is to meander around the first floor galleries of the National Gallery of Australia – to take in the Australian collection exhibitions. A highly recommended visual arts experience is to visit the National Gallery in Canberra and to take the time to explore the selections of the NGA’s collection exhibitions. Any time you are wandering through Canberra galleries, make sure you allow time to meander through the permanent collection galleries. The Digital Portraiture Award 2017 is at the National Portrait Gallery, Canberra, till 18 February 2018. Recommended. recommended exhibition at the Australian National Portrait Gallery. 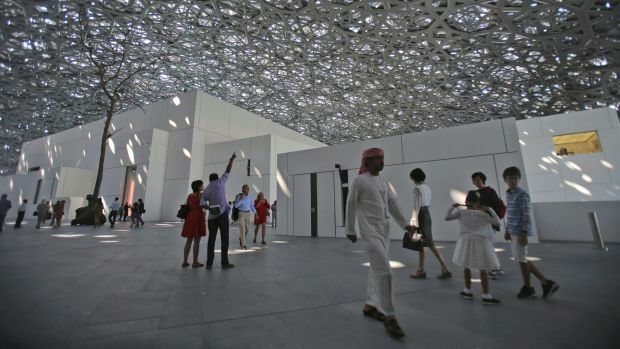 Comment from John McDonald on Louvre Abu Dhabi – click here.